They say the Masters really doesn’t start until the back nine on Sunday, but hold on. Recent history suggests that coming out of the blocks cleanly is the key in the battle for the Green Jacket. Not since Tiger Woods did the trick in 2005 has the winner at Augusta National been outside the top ten after the opening circuit. Eight years ago, Rory McIlroy opened with a stunning 65 and had one arm in the Green Jacket as he stood on the tenth tee in the final round only to capitulate on that back nine. He’s broken 70 just once since then in the first round and would love a fast start this time around. The opening 18 holes won’t necessarily make or break his week, but they can certainly shape it. Every single shot the 29-year-old hits in this event is set to be scrutinised. That’s what happens when you’ve got a chance to make history. This is McIlroy’s fifth attempt to complete a career grand slam by winning the Masters and the world is watching. If it came down to the formbook alone, McIlroy would be joining Gene Sarazen, Ben Hogan, Gary Player, Jack Nicklaus and Tiger Woods in that exclusive club on Sunday. He’s been on fire this season, recording seven top-ten finishes, including a win in the Players Championship at Sawgrass last month. 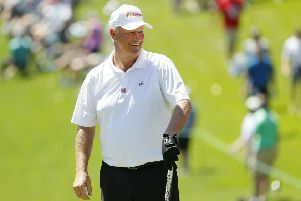 “I’m happy with where everything is – body, mind, game,” declared the four-time major winner in his press conference here. It’s as much a mental test for him, though, and how he handles it is likely to determine if this is the week when he exorcises those ghosts from 2011. For all that he’s on the verge of greatness, McIlroy isn’t the main focus this week. While the room for his interview was half full, it was packed when Woods took the same seat a couple of hours earlier. He still moves the needle in this sport like no-one else and what a story it would be if he could claim another Masters victory. The last of his four wins here came in 2005. The last of his 14 major wins was in 2008. Yet, he’s a genuine contender again after getting himself in the mix in both the Open Championship at Carnoustie and US PGA Championship at Bellerive last year, then proving that he can still win at the highest level when capping his return from a series of back surgeries by claiming the Tour Championship at East Lake in September. Not since Woods achieved the feat in 2002 has the defending champion here come out on top. That means Patrick Reed, who was a very worthy winner 12 months ago, is unlikely to prevail again on this particular occasion. Paul Casey, Kevin Kisner and Xander Schauffele if that happens again. No-one, of course, has fared better in majors over the past few years than Brooks Koepka, the current US Open and US PGA champion. Twelve months after missing out here due to a wrist injury, he’s likely to be in the mix, as are the likes of Augusta National specialist Spieth, Justin Rose, Dustin Johnson and Justin Thomas. It would also be foolish to discount Open champion Francesco Molinari. 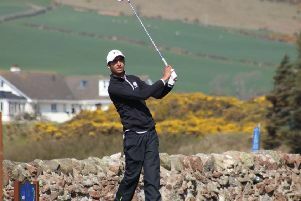 South African Jovan Rebula, who got into the field on the strength of his win in the Amateur Championship at Royal Aberdeen last June, has five rivals in the battle to be leading amateur as they tackle a course playing longer than ever after the par-4 fifth was extended by 40 yards to a 495-yard brute. The weather has already taken some sting out of the course following heavy rain and a first Monday finish since 1983 might well be a possibility with thunderstorms in Sunday’s forecast.